Why Is My Plant Dropping Leaves? 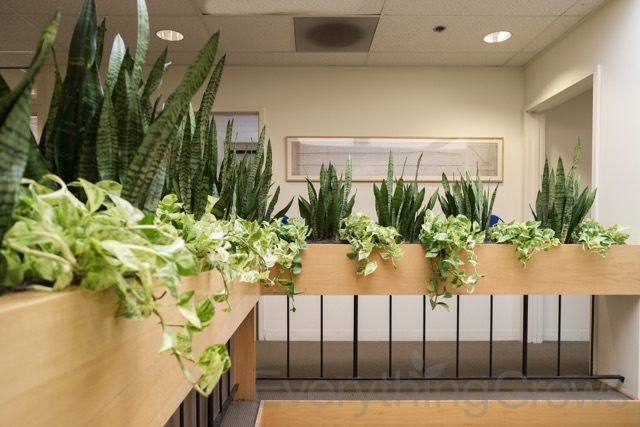 One of the greatest challenges of indoor plant care is managing a plant that starts to lose its leaves. Once we have ruled out disease, incorrect watering technique, pests or the like, we look to the light levels. 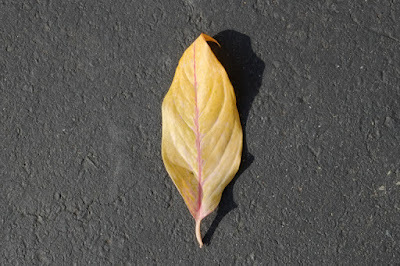 Some leaf loss is normal when a plant is relocated as it adjusts to its new environment. 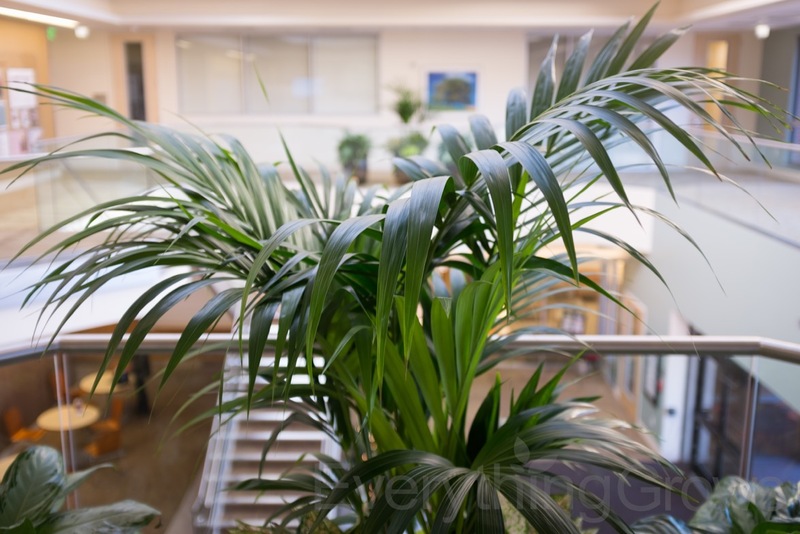 However, once a plant is established and doing well in its location, sudden leaf loss is frequently to be associated with a change in lighting, especially in the winter when there is less natural light to support a plant. This is particularly true of plants that demand a high amount of natural light. 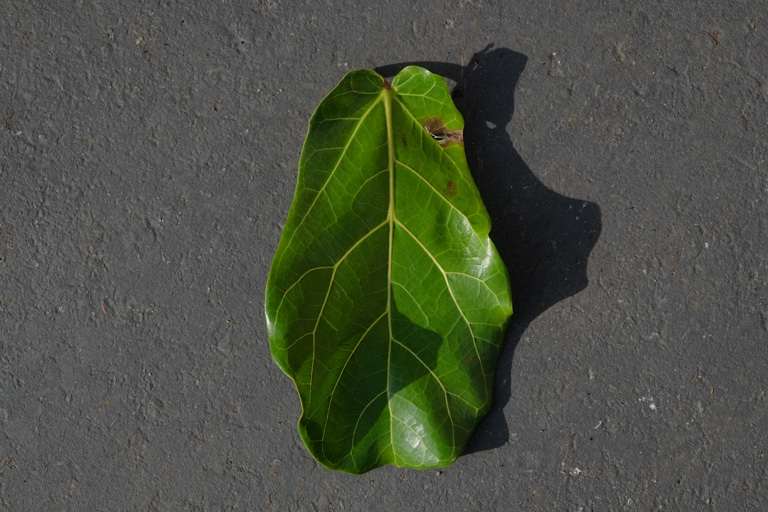 Many plants retain a leaf count that is consistent with the amount of available light. If there is only enough light available to support 75 leaves, for example, the plant will keep that number of leaves. When this theoretical plant with 75 leaves decides to put out 3 new leaves, it will then drop 3 older leaves. During the winter months, days are shorter and therefore the amount of natural light received by the plant during daylight hours is less. 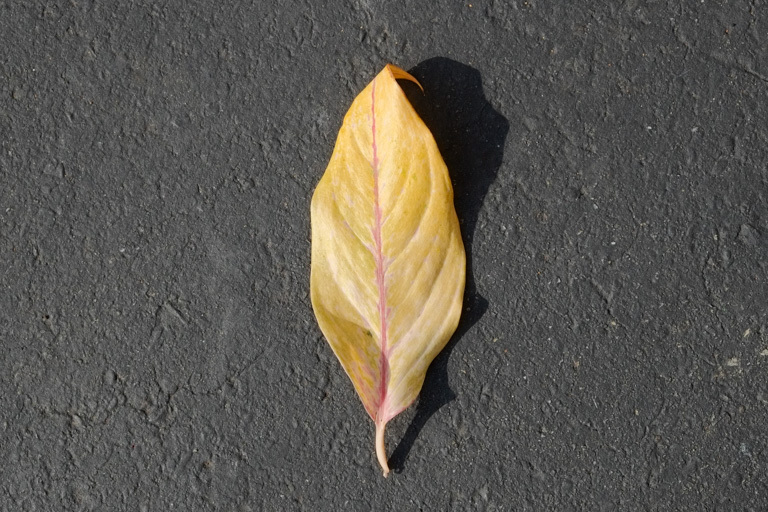 Plants will drop leaves to compensate for the shorter days - less available light energy means that there is less energy available to support the foliage on the plant. 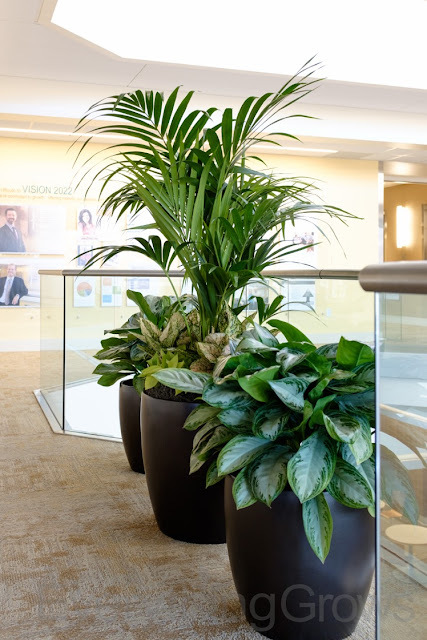 In spring and summer, plants make the most of the longer days and warmer soil temperatures and grow as rapidly as the available light allows. As the days grow longer and there is more available light to support more leaves, the plants continue to put out new foliage. This cycle of growth and retraction is ongoing with naturally occurring foliage outdoors. We at Everything Grows like to think that our specialty is bringing the outdoors inside while minimizing the undesirable effects that fall and winter imposes on our tropical plants. Putting the finishing touches put on your office design? 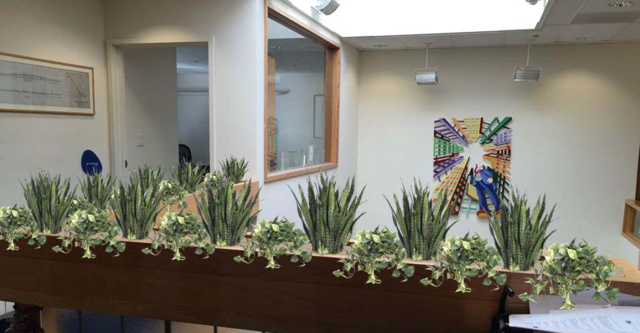 Let our experienced Everything Grows Interior Landscaping design team lend a hand! We provide complimentary site visits and can accommodate almost any budget. Contact us today and one of our designers will be happy to assist you! 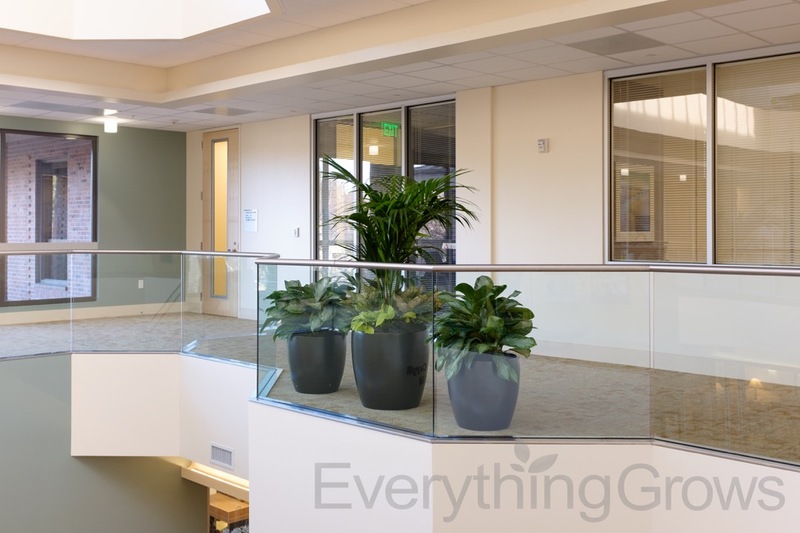 Here are a few photos of beautiful new plants and containers installed in a Walnut Creek office building. 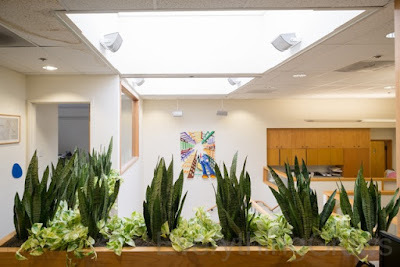 They are highly visible in a large atrium area from both below and across the atrium. Welcome TLC Interior Plant Service Customers! 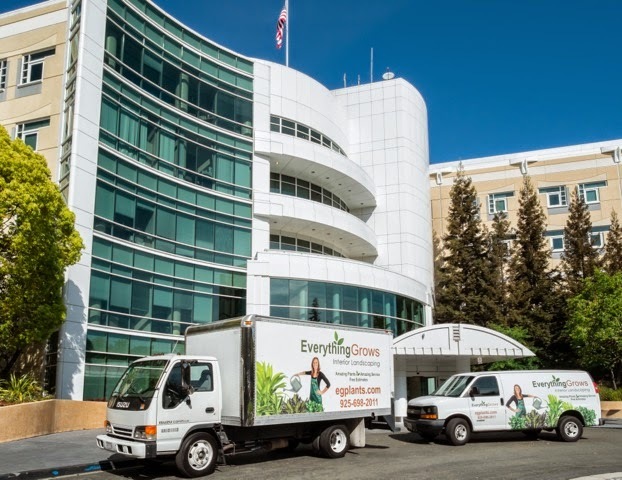 We are very excited to announce that Everything Grows has merged with TLC Interior Plant Service of Pleasanton! Over the years, TLC’s customers have grown to depend upon a level of service that is second to none. 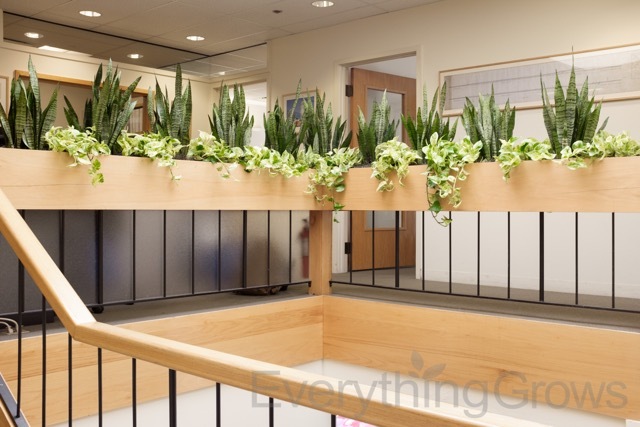 We at Everything Grows are committed to continuing in the TLC tradition of providing top-shelf service and value. We look forward to keeping your plants beautiful and healthy as we begin 2016 and into the future!